February 26, 2014. It was Monday 17th of Feb 2014. I arrived at Benjamin Mkapa Secondary School and all the teachers asked me where is Brian Mingle Mingle? It is simple question to me, I answered that I am Impact coach from Tanzania country and CAC decided to choose me to represent in running this program and they believe one another teachers from your group will also be Impact coach. After few minutes of introduction why Tanzania got the opportunity to run this program for refresh day from the Group of Champions from Standard Chartered Bank Tanzania (SCB), Juanita Mramba represented SCB to open the refresh days in Dar [es Salaam]. She addressed more than 50 teachers, 10 champions from SCB and 7 coaches from Tanzania Football Federation who coach children in different clubs in Dar. They said SCB had their goal to reach 15,000 children at the end of this year. So the teachers are responsible to implement this knowledge back to their school. 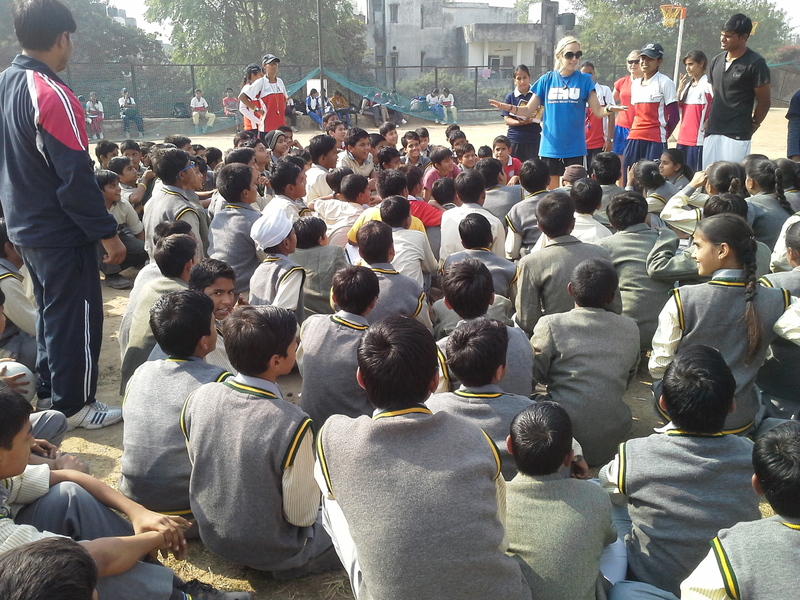 I started our program by giving the chance to the teachers to review the games they learned last year. They remembered the games although they forget what we learned through those games. 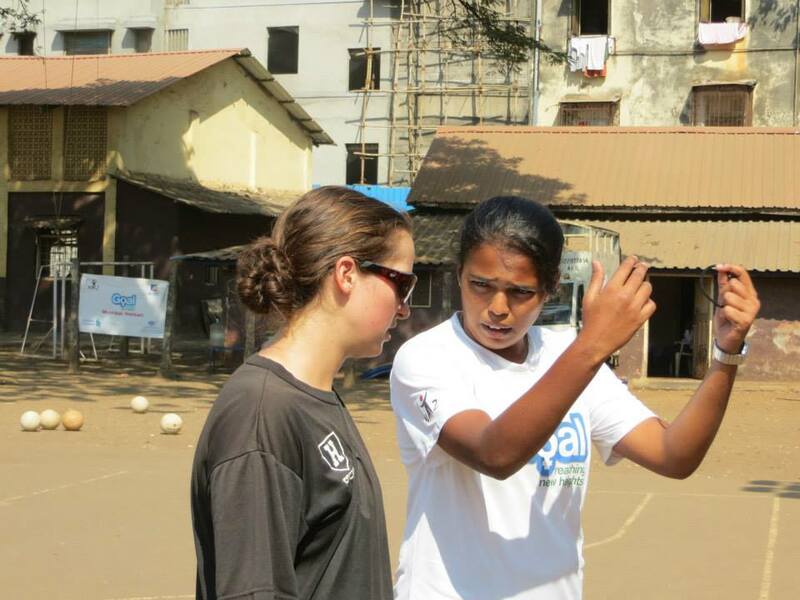 I am the one who tried to explain each game and how to connect what we learn to our daily life and address that CAC are using their curriculum to change the life of children through soccer. And I also explained that we are using females as the role models in order to empower females in our country. After two days in Dar, on the last day, CEO (Liz Lloyd) from SCB came to see what is going on and participated in playing Mingle Mingle (see photo). At the closed celebration few champions, teachers and me, we got gifts for hard work during the training. I then went to Arusha to meet with 36 teachers. It was fantastic session because when I arrived in Arusha School, I saw the teachers had revised all the games themselves and explained what we learned in each game. Arusha is the best for the teachers to run this program. They are ready to run this program. When I was leaving Arusha at airport it happened one problem with Airport Official who wanted to know why our balls travel with air. So it took time to explain the types of balls [One World Futbols] but then they agree to carry my bag in the flight. Last I finished with 46 teachers in Mwanza, which also is very fun to me to run this program alone as Impact coach. I thank CAC and SCB to trust me as a Tanzania citizen to run this program on behalf of Coaches Across Continents. 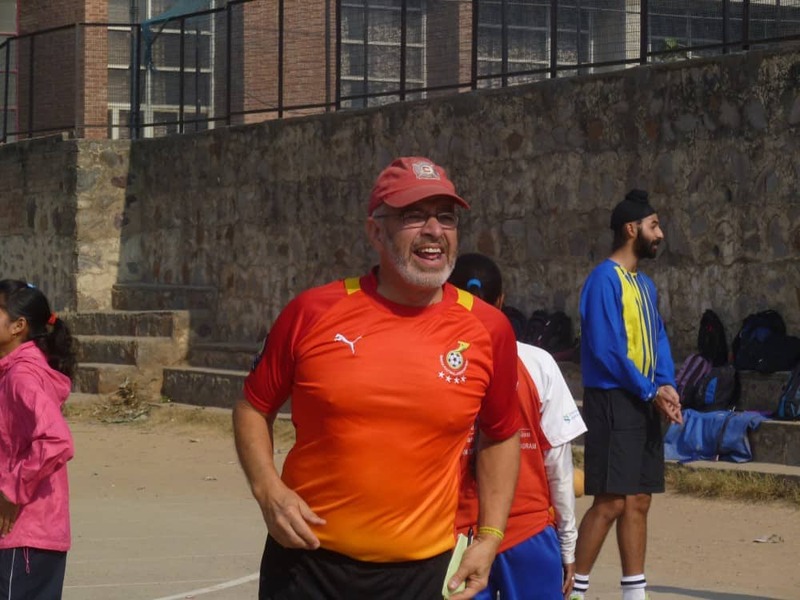 Community Impact Coach, Nico Pota, who was part of our very first program in Kigoma, Tanzania in 2008, has been instrumental in every program we have run in the country during the last 6 years. 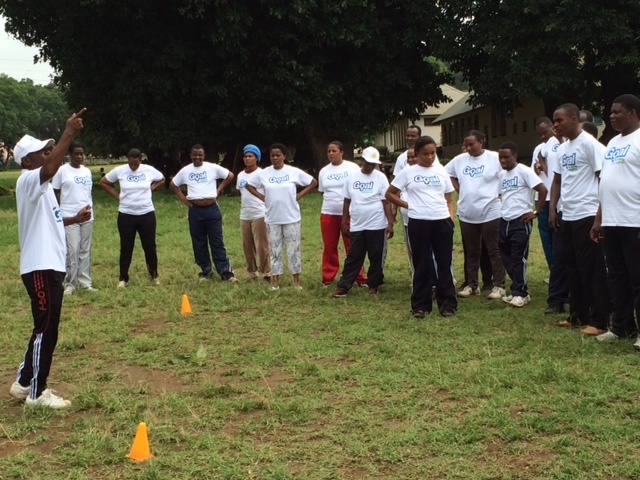 Over the course of this week Nico ran refresher courses in three locations on behalf of SCB Tanzania and CAC. Sustainability in action. CSR in action. A beautiful partnership and an incredible role model and member of the CAC family. Thank you Nico! September 25, 2013. 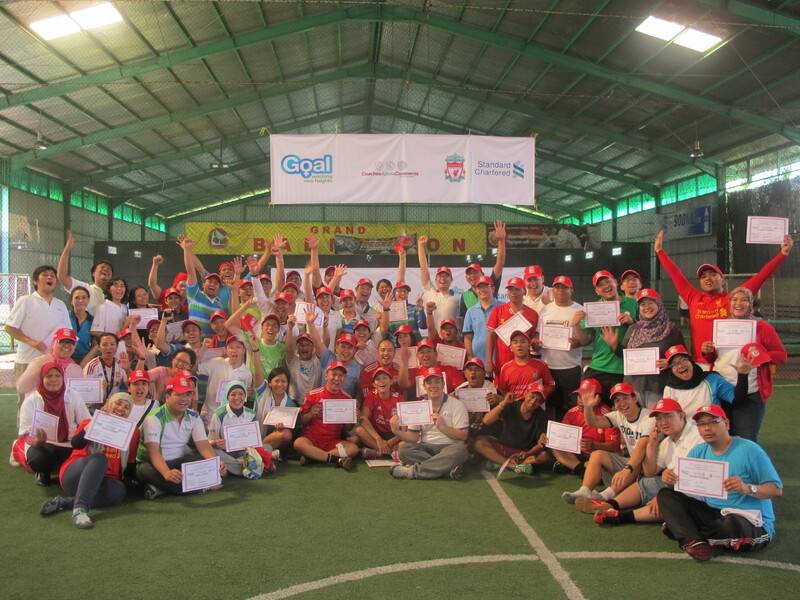 Coaches Brian Suskiewicz and Nora Dooley finished the GOAL program last week in Jakarta, Indonesia. After the first three days of training approximately 150 Standard Chartered Bank (SCB) employees in games from our GOAL curriculum, the CAC team set their sights on working with 400 junior high and high school students. 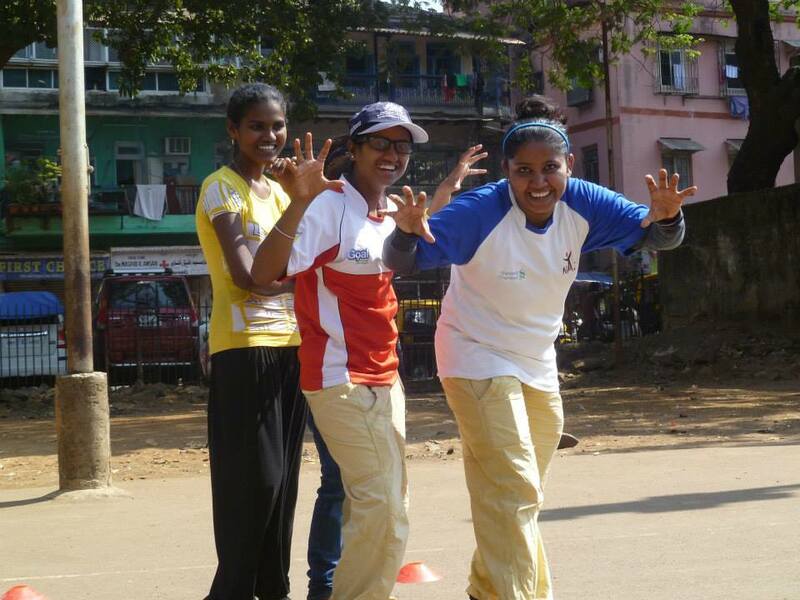 SCB staff volunteered their time to coach the youth in CAC games over the course of three days. Not one of the employees had coached before meeting us on the pitch. 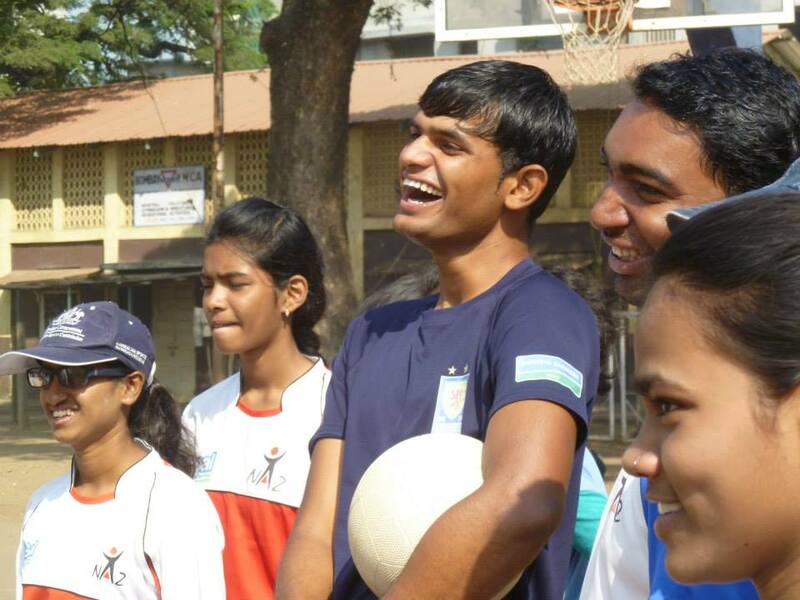 Yet when it was their turn to coach they impressed the CAC staff immensely, nailing their coaching points and imparting valuable social impact messages. 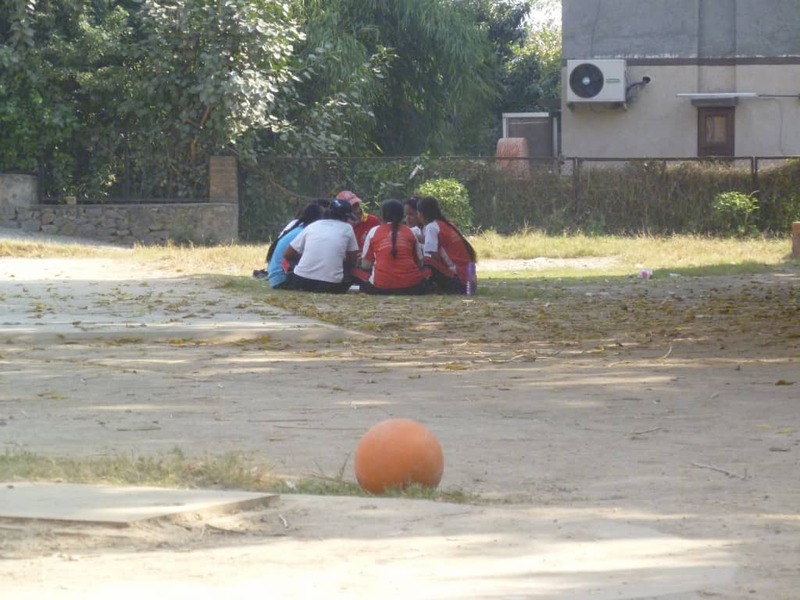 The first day of implementation saw about 25 SCB volunteers coaching just shy of 100 junior high school learners. 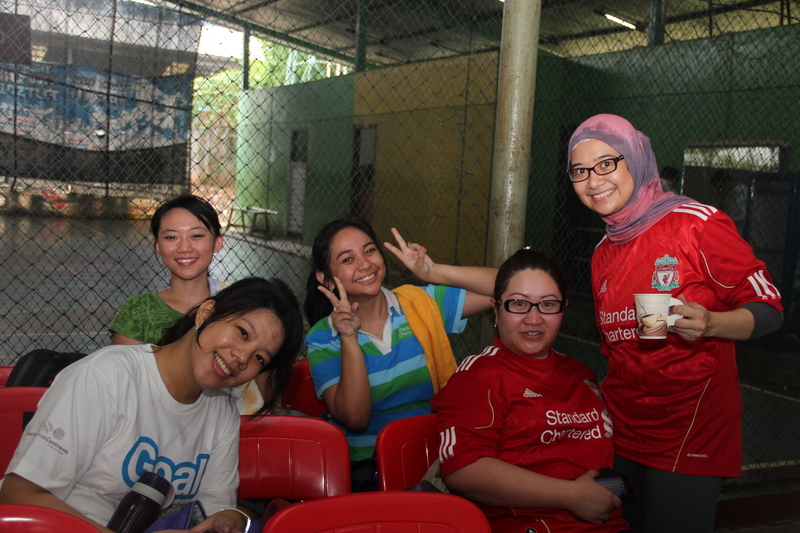 On two futsal pitches this was a very manageable number, and the first group of volunteer coaches were terrific. Brian and Nora found themselves doing much more managing and logistics and very little coaching! The second day was a bit more hectic as nearly 200 high school boys and girls streamed onto two small fields. The 35 SCB employees who coached the second day deserve an award for the way they handled this mass of adolescents. 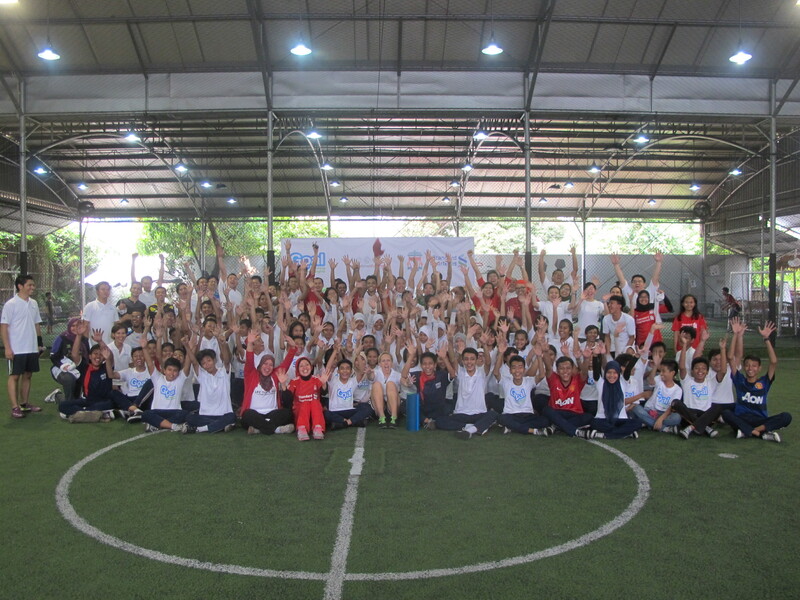 The third and final day of implementation was also Peace One Day, September 21st, and 98 more junior high school students joined 59 bank staff on just ONE futsal pitch. The CAC team had it under control, however, and a would-be chaotic day went very smoothly. In honor of Peace One Day Brian and Nora held a juggling competition, crowning one girl and one boy as champions. 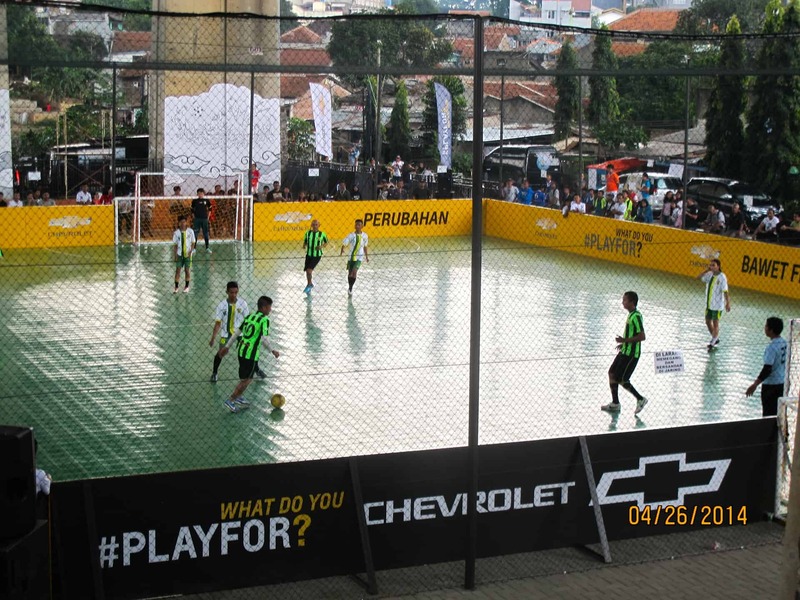 Reflecting on the overall program with CAC partner, SCB, training volunteer employees in about 13 games from the CAC and GOAL curriculum and welcoming nearly 400 students to Grand Futsal locations in Jakarta, the CAC team could not be more satisfied with the week. Three great groups of bank staff showed up physically and mentally for both their Train the Trainer day and their volunteer implementation day. The CAC team is optimistic about the future with SCB and hopes these newly trained coaches will continue to pay it forward with youth from their community. Already SCB has reached out to four local NGOs who are adopting our curriculum including the Helen Keller Foundation and Mitra Netra (visually impaired foundations), Yayasan Cinta Anak Bangsa (for underprivledged children), and the HIV Foundation. 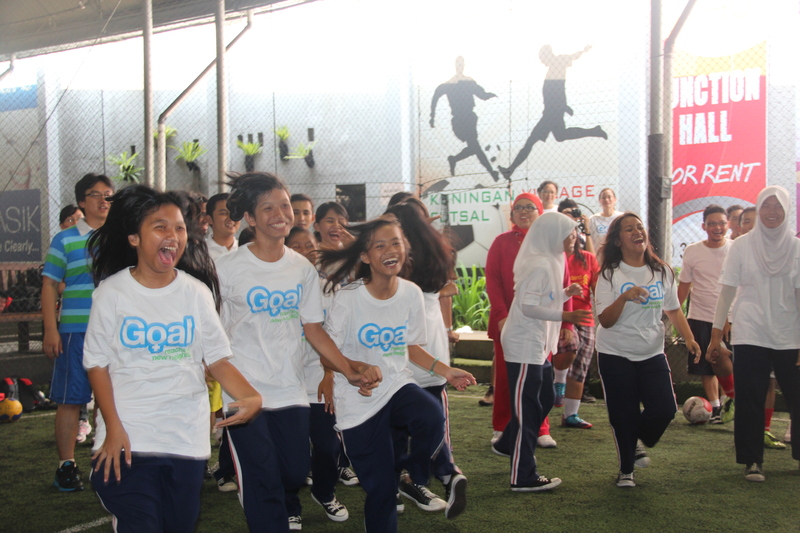 SCB Indonesia is also looking into continuing more implementation at schools around Jakarta and throughout Indonesia. 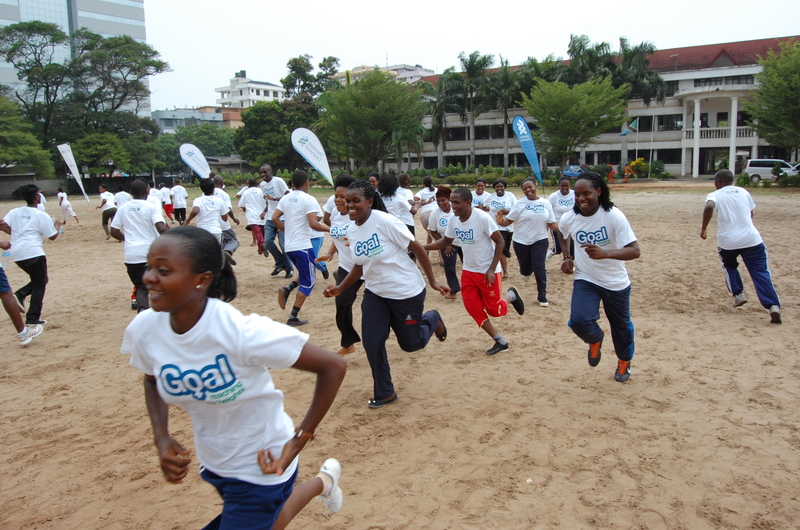 Stay tuned for more from our GOAL program in partnership with Standard Chartered Bank. 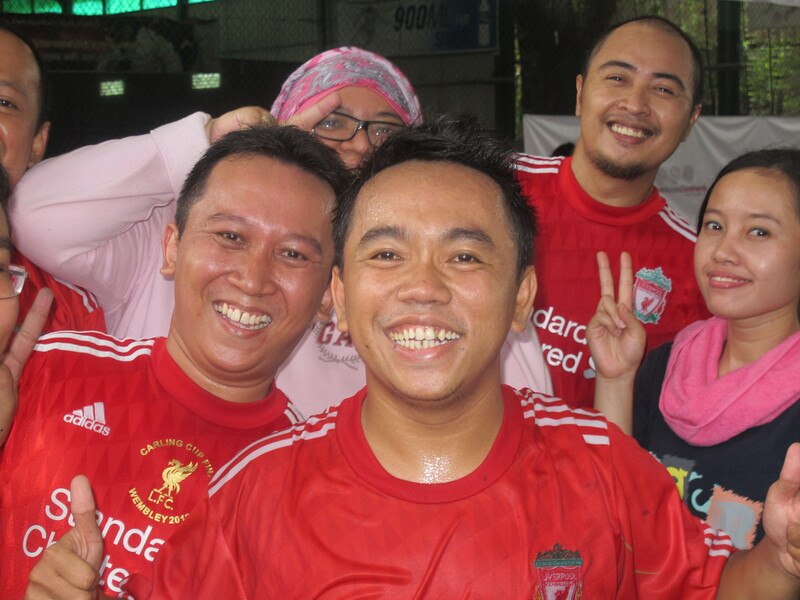 Until next year, Jakarta!